The Torah commands us to count the days and weeks leading up the festival of Shavu'ot. The "Festival of Weeks" arrives after seven weeks, on the fiftieth day of the counting. Shavu'ot means "weeks," signifying the counting of the seven weeks. 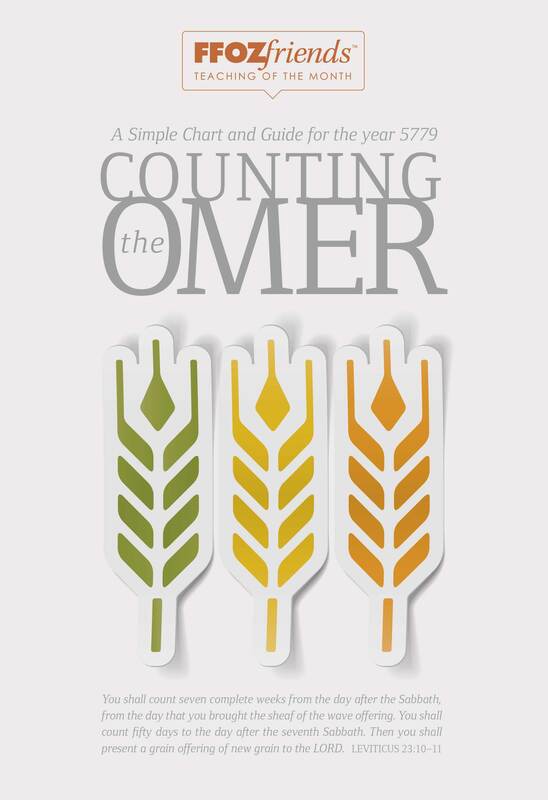 Thecounting of the days is called Sefirat HaOmer, "The Counting of the Omer. "We begin the counting on the second day of Passover. 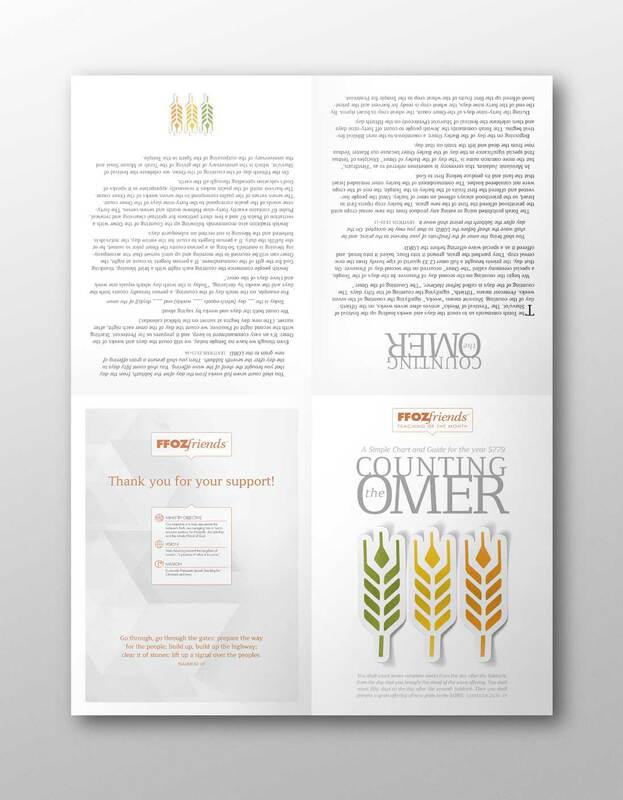 In the days of the Temple,a special ceremony called "the Omer" occurred on the second day of Passover. 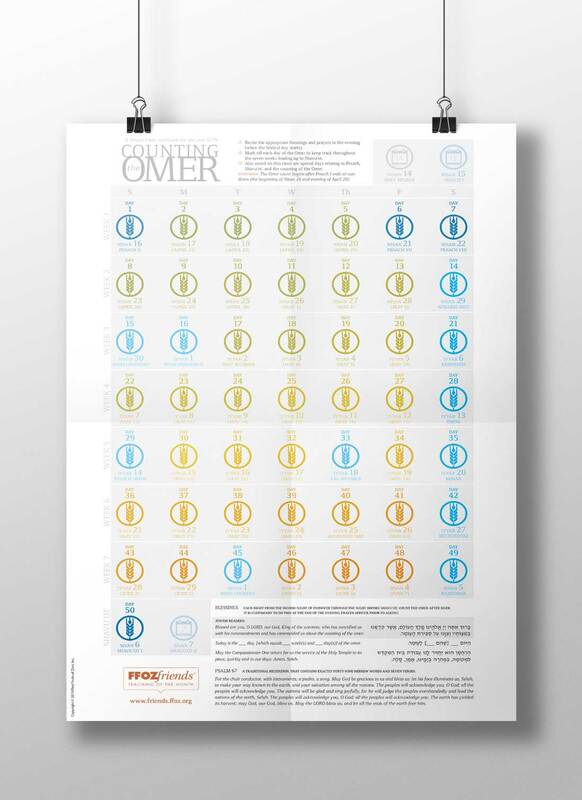 This 13 x 18 inches Counting the Omer chart will help you count and remember the days from Passover until you reach the 50th day, Shavu'ot. The chart includes the English and Hebrew blessings that are recited for every day, as well as some historic background and up-to-date information relevant for today.